HELZBERG SMART RING FLASH SALE – TODAY ONLY! 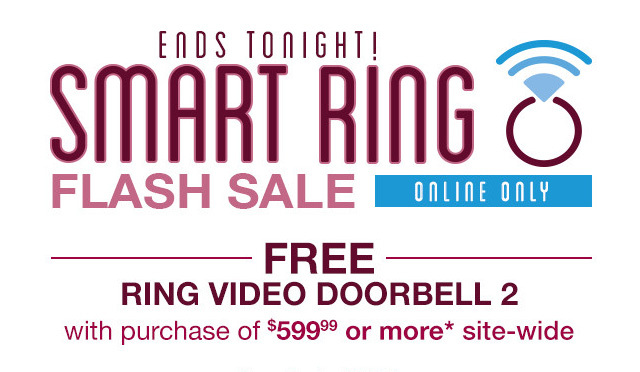 SPEND $599.99+ AT HELZBERG TODAY AND GET A FREE SMART RING 2 WITH PURCHASE! Now that Halloween is over… It’s Christmas, right? Right now, TODAY ONLY (Nov. 5th, 2018), they are having a FLASH SALE! It’s a great gift, and paired with diamonds and gold, you can’t go wrong. And take a peek at the wonderful BLING here. And enjoy the sale. Head on over to Helzberg TODAY!